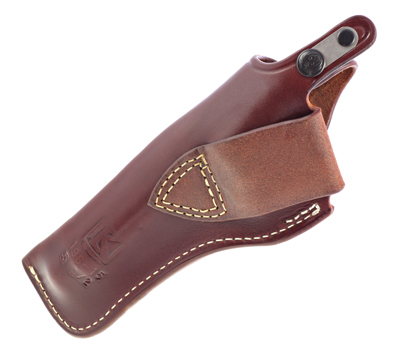 Ruger logo stamped on front of holster with walnut oil finish. Fits Ruger® Redhawk® or Super Redhawk® revolvers. Fits belts up to 1-1/2" to 2". Right-handed only. Made in the USA by Triple K.
Perfect for my 5 1/2 Redhawk! I purchased this for my Ruger Redhawk with the 5 1/2 inch barrel and it fits like a glove. Perfect! Nice quality too. 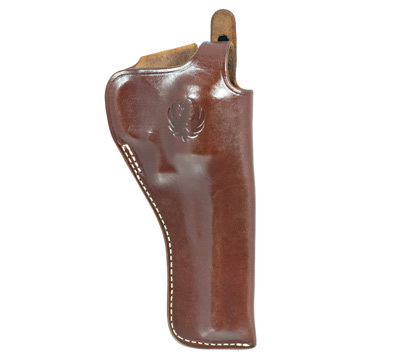 This is a great holster for the 5 toklat .The fit and finish is excellent!